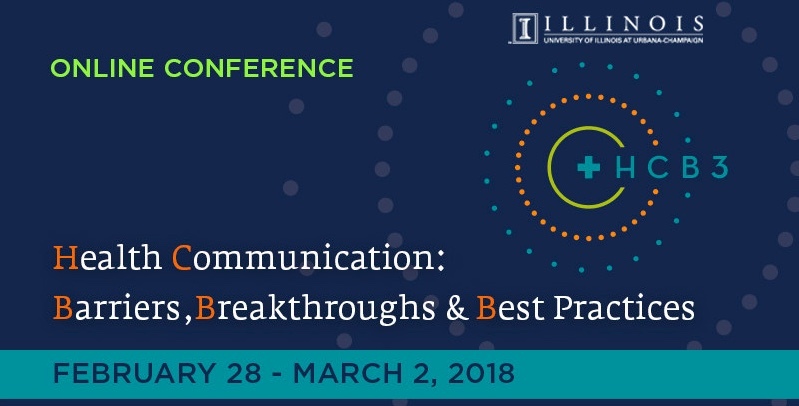 This is the second annual conference sponsored by the University of Illinois Health Communication Online Master of Science Program. It's free, available to watch at your convenience between 2/28 - 3/2/2018. There are 3 keynote presenters, live at lunchtime and archived. As well, the powerpoint presentations and their abstracts are all available on their website.